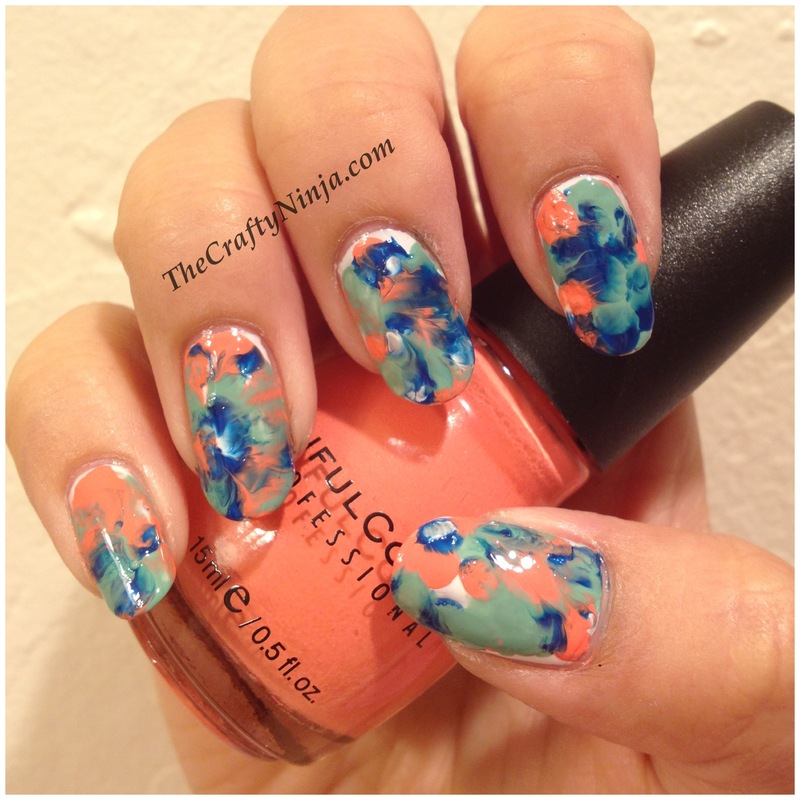 Today’s nail art is creating a watercolor effect on your nails. This is a very simple tutorial and I used a grocery bag to create this fun and easy look. Using recycled materials, such as a grocery bag, is a good day for me. 1. To get started paint your nails first with clear base coat then white nail polish, make sure your nails are completely dry or it wont work. I cut the grocery bags into small squares. Choose three nail polish colors, I used Orly- Shockwave, Sinful Colors-Hazard, and Sinful Colors- Open Seas. 2. Add dots with Orly Shockwave. 3. Add dots with Sinful Colors- Open Seas. 4. Add dots with Sinful Colors- Hazard. But I also added more dots with the other two colors. Work quickly because you don’t want the dots to dry. 5. Lay the grocery bag on top of your nails and move is slightly up and down to smear, do not put too much pressure. 6. Take off the grocery bag and viola you have your watercolor nails! After taking off the grocery bag it creates such pretty details and blends the colors nicely. 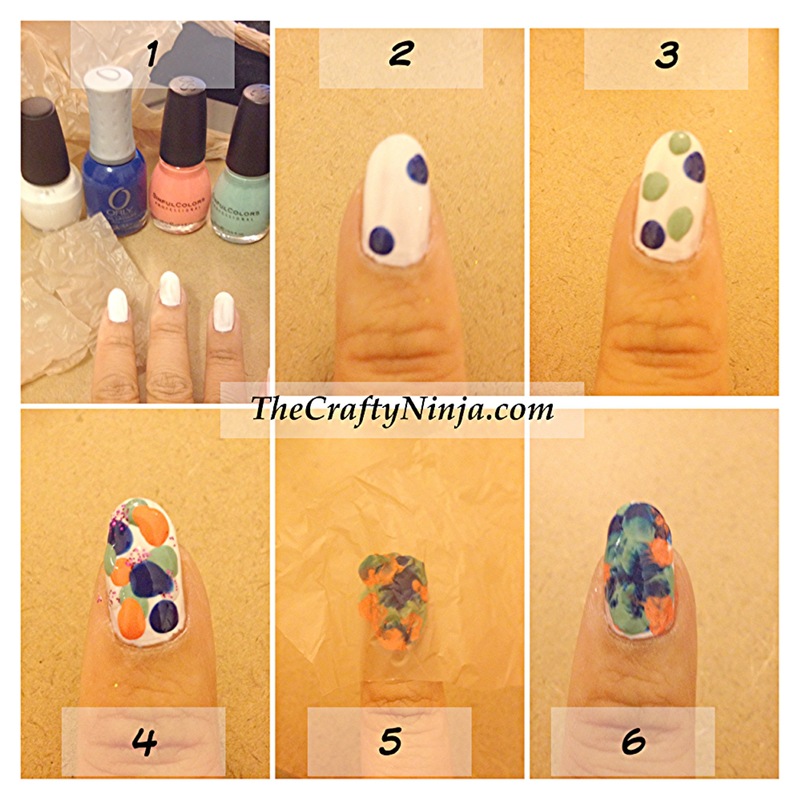 Clean your nails, tutorial here, to have beautiful watercolor nails.